Lovingly maintained by original owner, this wonderful 3 level side-split home is situated on mature cul-de-sac in the heart of Stoney Creek & features a beautiful 190 ft. deep private lot with oversized perennial gardens & stream. This home features 3 bedrooms, 1 1/2 bathrooms, bright living room with stone fireplace updated eat-in kitchen with stainless steel appliance, granite counters, marble back splash & more. The fully finished lower level features a spacious family room with wainscoting, a large laundry/utility room with walkup access. Updates include windows, doors, trim, shingles, furnace & interlock patio. Close to schools, Battlefield Park, shopping, and highway access. Rare find, this stunning custom stone & stucco built, 4 bedroom, 4.5 bath house is situated on a .8 acre treed & secluded property. The house is a bungalow design with approx. 3000 sq. ft. of main level and features 3 large bedrooms including the master bedroom with ensuite, gorgeous great room with 20 ft. ceilings & 10 ft. ceilings in the remaining main level. Enjoy a huge kitchen with island and granite counters & a main level office / or dining room plus ap prox. 600 sq. ft. loft ideal for a teenager or guests featuring a sitting area, bedroom and ensuite perfect for a teenager or guests. The basement is partially finished and has tons of potential. 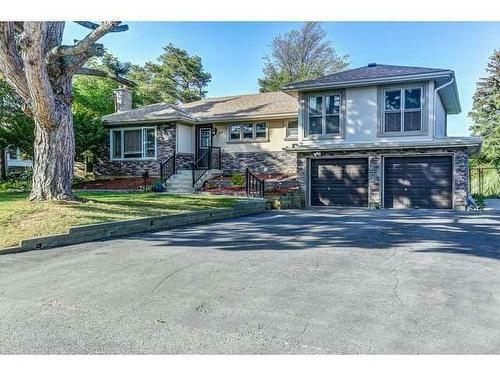 The huge driveway fits atleast 6 car s is ideal for a busy family and the 1000 sq. ft garage/ workshop can park 4 vehicles and is multi- functional. This home has a gorgeous backyard oasis with pool, hot tub, gazebo, grassy area, patio and so much more. Must be seen an d is move in ready. 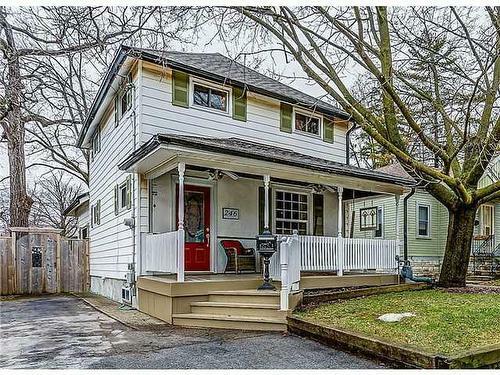 LOCATION, CHARM & BEAUTY await you in this fully renovated home located on a quiet tree lined street and just a short stroll to down town Dundas. Enjoy 3 bedrooms, 1.5 baths, hard wood floors on main & upper levels, renovated kitch en & bathrooms, updated windows,shingles, plus a finished lower level. Enjoy a beautiful treed lot with a front porch swing & huge backyard deck & hot tub. This home will not last. Book your private showing today. 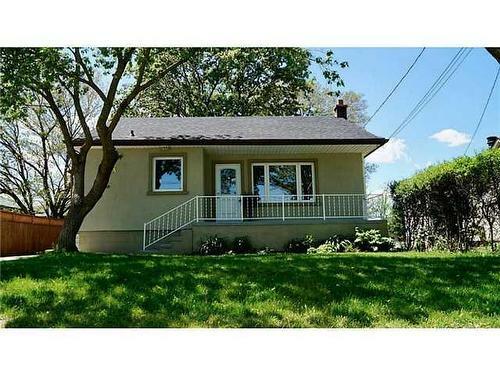 Much more than meets the eye with this meticulously and completely restored bungalow in the heart of Ancaster! Thoughtful, detailed and precise workmanship focused on high quality and Canadian made materials. This home features a gourmet kitchen, main floor laundry/mudroom, master bedroom with en-suite, in floor heating and walk in closet. The main floor is complete with 3/4 red oak hardwood. 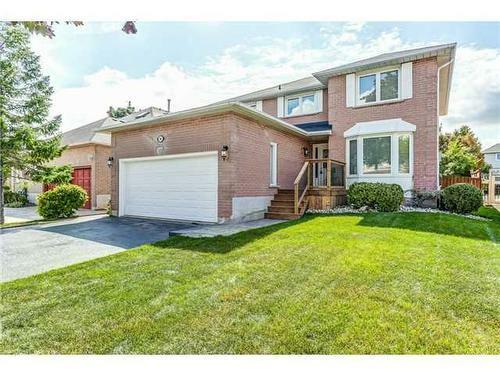 It offers, a vast fully finished basement laid out to accommodate additional bedrooms. The energy efficiency and eco-friendly nature of this home is unsurpassed with spray foam insulation, hot water on demand, new furnace and a/c including all new duct work. The exterior is complete with new soffit, fascia, eve troughs, shingles and cape cod wood siding. The garage is fully insulated with a 400 sq ft storage/hobby room above. Finished by someone who takes pride in their work. Don't miss out on this home! It is above and beyond replacement value! Move in and enjoy life with no worries! 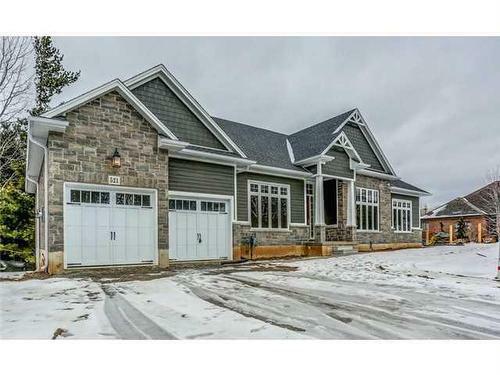 Stunning & newly constructed bungalow in a prime Ancaster location and on quiet court. Enjoy 2+2 bdrms. 3 bathrooms, 2100 sq. ft. of luxury open concept living on the main level, 1000 sq. ft. of finished lower level, 1100 sq. ft. of storage. The main level features 12 & 10 ft ceilings, hardwood floors, a grand foyer, main level den, master suite w/ huge walk in closet & a luxury master bath, separate dining room, white gourmet kitchen w/ large island & quartz counters. The family room is surrounded with windows, cove ceiling and stone fireplace. This home also features beautiful mill work, solid interior doors, garage to basement entry, 3 car garage, look out windows in basement and so much more. Call today for your personal appointment. 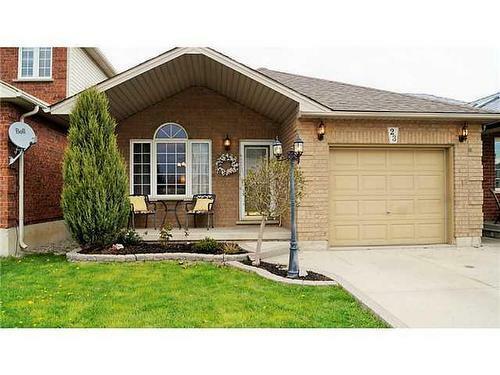 Lovely end unit town home, located in prime Stoney Creek location. This freshly painted approx. 1100 home features 2 large bedrooms, master with walk in closet & 1.5 baths. Enjoy laminate floors, a spacious family room and bright ea t in kitchen with patio doors to fenced in courtyard, inside garage access, front porch and more. Enjoy not having any backyard neighbours and being steps to schools, restaurants, entertainment & quick access to LINC & Red Hill. 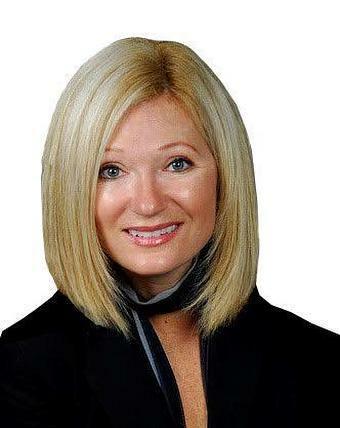 Cal l listing agent for your private showing! Fabulous Ancaster Cape Cod on a spacious treed, pie shaped lot, located on quiet street just a short walk to core of Ancaster. This family home offers 4 spacious bedrooms, 2.5 updated bathrooms, stunning gourmet kitchen with large i sland, quartz counters, deluxe appliances, dinette, main floor family room with gas fireplace, main floor dining room or office, main level laundry, engineered wood floors, front porch, deck, finished basement, double garage with 4 car drive way and so much more. 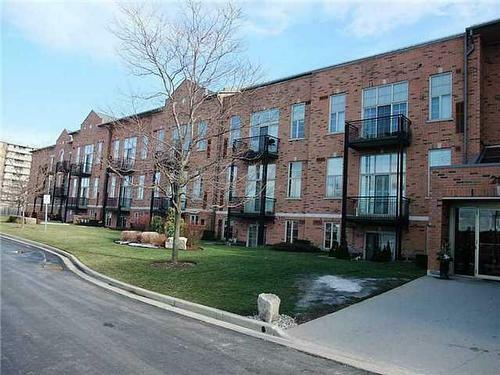 Enjoy a short walk to Ancaster core, parks, shops, trails and quick highway access. Call listing Realtor today for your private viewing. Rare opportunity to own this bright and spacious 1 bedroom, 1 bath, main level unit located in the old Waterdown High School. Enjoy a spacious living area, eat in kitchen with breakfast counter, in- suite laundry & doors from family room to stone patio. This unit also has underground parking, very spacious storage locker, and tons of visitors parking and many condo amenities like a bike room, games & social rooms. Walk to shops & amenities & enjoy great highwa y access. 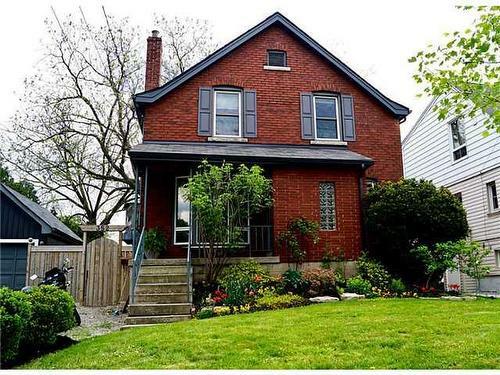 Be proud to call this charming & lofty customized Rosedale home your own. Enjoy a condo feeling while you get the benefits of a driveway, large yard, basement & no condo fees. This stunning home features 1+1 bedrooms, vaulted ceil ings, gourmet kitchen with stainless appliances, back splash & granite counters, hardwood through out, pot lights & elegant bathroom with glass shower. Enjoy a large fenced yard, backyard deck, lg. drive way & unspoiled basement. Ca ll today for your personal viewing. This beautifully appointed 2500 sq. ft. open concept Marz home is like new inside & out. Enjoy a quality exterior with brick, stucco and stone features. Enjoy an impressive 2 storey foyer with dark stained oak staircase, and dark stained hardwood on 2 levels, pot lights, large separate dining room and oversized bedrooms. This impressive home also features, 9 ft. ceilings, large kitchen with island, walk in pantry and doors leading to large deck overlooking a small ravine, walk out basement and so much more. This home is move in ready for your family. Book your private showing today. Stop looking for that perfect Country Home. This is it!! 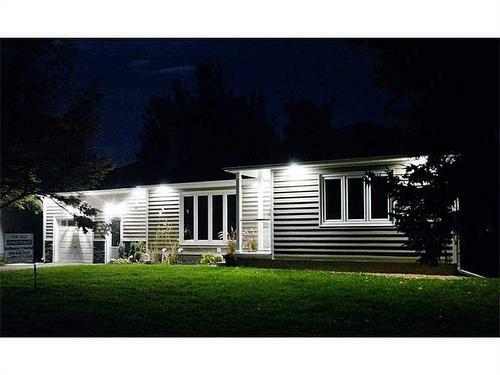 Located on a gorgeous treed and manicured half acre, this stunning raised ranch has been beautifully renovated and updated to the highest standard. It features 3 large bedroom s, master with a 4 pc ensuite, spacious living room, dining room and kitchen. The custom kitchen features built in appliances, granite, a huge island, back splash and French doors leading to a sun room. The main level has exotic h ardwood floors the bedrooms, living, & dining rooms, and beautiful ceramics in the bathrooms and kitchen. Enjoy a walk out basement with oversized windows, French doors to the back yard, gas fireplace, 2 pc, bathroom and laundry. Th is home has been completely updated with the finest quality. Some of the updates include kitchen, 3 bathrooms, windows, doors, shingles, flooring, furnace & AC and so much more. This home will satisfy the most discriminating buyer. Rare opportunity for country living in this bright & spacious West Mountain family home on a park like 75 ft x 200 ft. fenced lot. This 3 level side split features 4 +1 bedrooms, 2.5 baths, a very large eat in kitchen w/ granite counters and a separate dining room. Enjoy stepping into your backyard on a large covered deck and enjoying a new above ground heated pool. This home has had extensive renovations and updates including bathrooms, new shingles, electrical, new front landscaping and more. 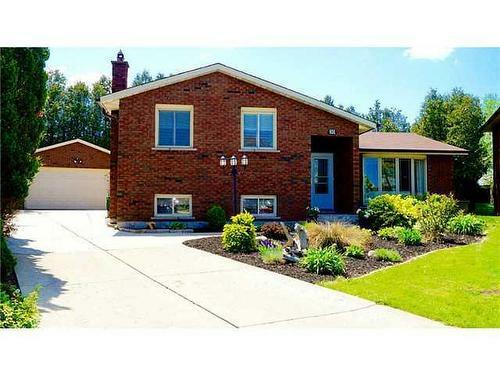 Rare opportunity to own this beautiful BUNGALOW located on the Stoney Creek Mountain/ Hannon. This property is a Desantis built and features approx. 1500 sq. ft. according to builder specs. Enjoy an open concept design, spectacular great room with vaulted ceiling, gas fireplace and double French doors leading to a covered porch. Entertain in the open concept kitchen and separate dining room. Enjoy 2 bedrooms, master with ensuite, and walk in closet. This home also features hardwood floors, double garage, main level laundry, oversized basement windows, and over $35,000 in upgrades. Call today for your personal viewing. Beautiful, bright, spacious & freshly painted 2200 + sq. ft. 3+1 bedroom, 2.5 bath family home on quiet court. Enjoy a large foyer with circular stairs, hardwood floors in the living & dining room, large eat in kitchen w/ island, s eparate family room with gas fireplace, huge master suite w/ walk in closet & 4 pc. ensuite , fin. Basement with extra bedroom and a roughed in bathroom. Enjoy a fully fenced yard, nice landscaping and large L-shaped deck. This fabu lous home is in a wonderful East Mountain location, close to schools, parks, shopping, bus route, LINC & Red Hill Prkwy. Call Listing Realtors for private viewing. 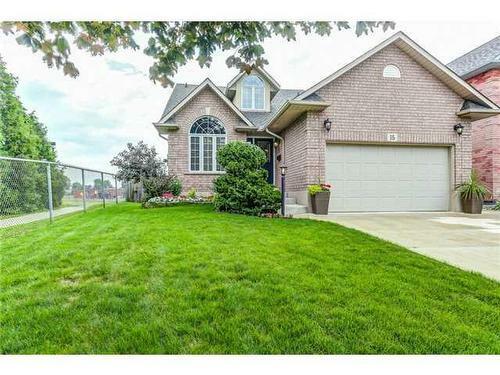 Rare Ancaster find this elegant home sits on .74 ACRES of land on a quiet Ancaster CUL-DE-SAC. It is like having a bit of country right in your own backyard. This elegant home is a Losani built, approx. 3400 sq. ft., home with quality stone & stucco construction. The interior features a lovely traditional floor plan with a large combination living/ dining room perfect for large gatherings. The gourmet kitchen features quality double height kitchen cabinets, granite and a stunning kitchen island with built in appliances and cooktop. The oversized main level family room has ample room for furniture placement and features a large gas fireplace mantle. Enjoy stepping out into a fully fenced backya rd that features fruit trees, a13 zone sprinkler system and a children's play area. 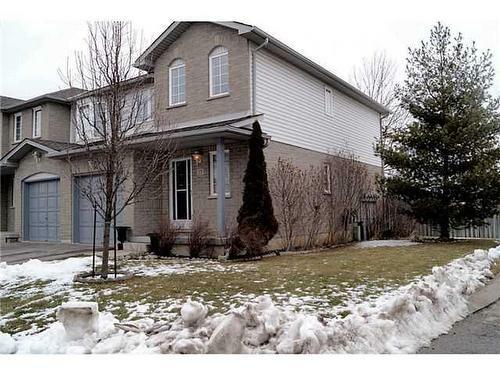 This home also has in-law/ nanny suite potential with a separate out door walk up basement entry. 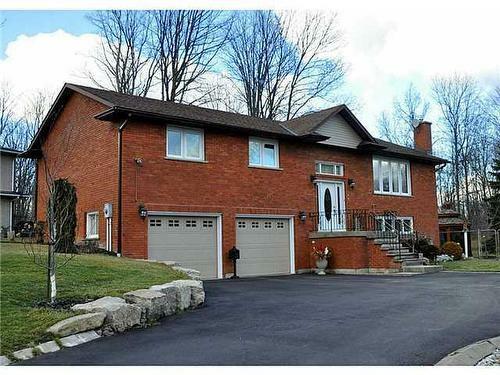 Amazing 3+1, 2.5 bath family home on the West Mountain near the Ancaster border. This home features a traditional floor plan with a spacious foyer, impressive staircase, spacious living room with vaulted ceiling and separate dining room and laminate floors on 3 levels. The eat in kitchen is open to the family room and has sliding doors to a large, impressive fenced in backyard with awning covered patio & shed. The upper level features 3 spacious bedrooms and a loft area with sky light & overlooks the living room. The master bedroom is huge and has double closets, vaulted ceiling, and a 3 pc. ensuite bathroom. The finished basement features pot lights, wainscoting, a large open area and a separate room that could be used as office or bedroom. 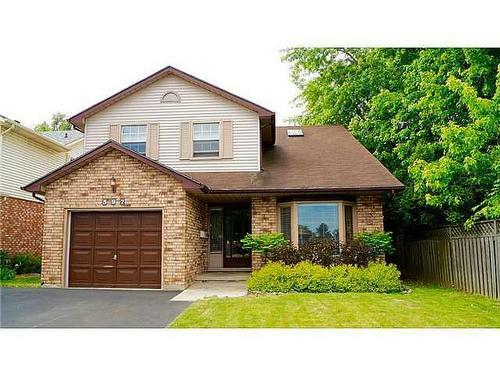 This well cared for home is move in ready and will not last. 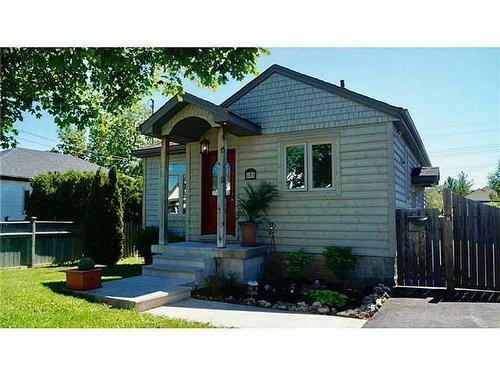 STUNNING, SPACIOUS & BRIGHT 3 bedroom home. Enjoy a huge updated eat in kitchen w/ 4 stainless appliances. The main level features a spacious living & dining room along with a 3rd main level bedroom all with laminate floors. The ov ersized master suite features 2 huge closets, pot lights and large windows. Enjoy an awesome 4 pc. bathroom with double sinks, sep. shower & Jacuzzi tub. This home also features a large fenced in yard with new sod, sep. garage, 3 ca r driveway & covered front porch. Updates include shingles, furnace, ac, windows, laminate floors, fence and so much more. Open house Sunday 2-4. 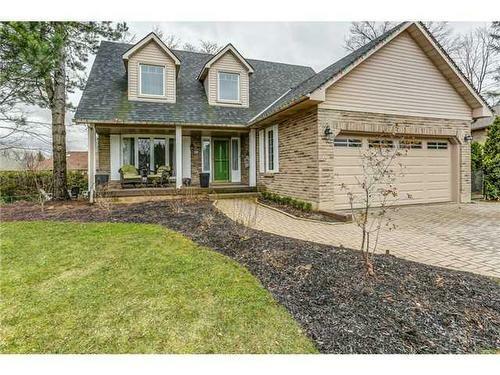 Stunning, custom built family home on a mature, treed lot in the heart of old Ancaster. Enjoy 4+2 spacious bedrooms, 3.5 baths in approx. 2900 sq. ft. plus a finished basement. This home features an impressive soaring ceilings in th e foyer and great room with a stunning 14 ft. 2 sided black stone fireplace, wood floors, pot lights, upgraded lighting, crown molding, bedroom level laundry, huge walk in closet in master bedroom, walk up from basement and more. En tertain in style with a gorgeous gourmet kitchen with 10 ft. island, bar station w/ sink, Wolfe range, double oven, large walk in pantry and garden doors leading to the beautifully landscaped backyard w/ a swim/ spa pool that you ca n enjoy year- round, BBQ station, stone patio, kids play area and stunning gardens. The main floor also features a spacious home office and fabulous mudroom. Open house Sunday April 23rd 2-4 or call listing Realtors for your privat e viewing. 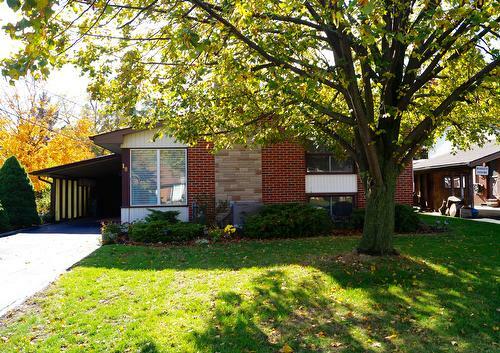 This lovely 4 level backsplit is located on a quiet court on the West Mountain. This home features a separate living dining room combo with hardwood floors & vaulted ceilings, a spacious eat in kitchen overlooking the large family r oom with fireplace. 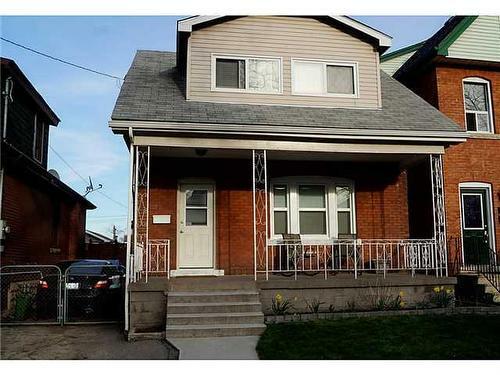 Enjoy 3+1 bedrooms, 2 fully renovated bathrooms, and a spacious, partially finished 4th level. This home features a concrete driveway, covered front porch, hardwood floors, upgraded lighting, inside garage entry, California shutters, Shingles (2015), fenced yard and so much more. This home will not last. Open House on Mother's day 2-4. Gorgeous, bright & spacious fully upgraded traditional style home located on a wide, treed lot with a private backyard and a stunning heated, ozonator filtered pool, pergola & deck. This home features a center hall plan with a grand foyer, separate living & dining room, sunken family room featuring a stone and open flame fireplace. The eat in kitchen has been fully renovated with granite, hardwood, backsplash and peninsula with doors leading to the backyard. E njoy 4 spacious bedrooms and a master with a stunning 6 pc. ensuite bathroom and walk in closet California organizer. The basement is also finished and has tons of storage. Other upgrades include brand new windows and sliding door, garage door, Naploleon open flame fireplace, new carpets in bedrooms and basement, large 4 car driveway, furnace, & so much more.